I hope soon to find time to post one final meditation on the Battle of Gettysburg, but I want to interrupt that thread for the moment to recommend a book that I just finished yesterday. The book is Why Study History? Reflecting on the Importance of the Past, by Professor John Fea of Messiah College. 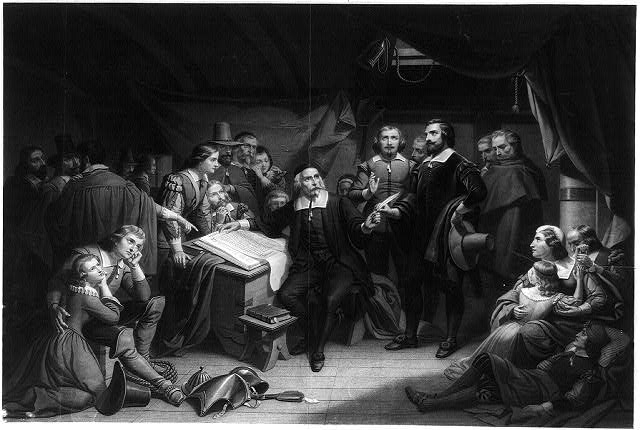 Some of you may recognize the author from his book Was America Founded as a Christian Nation?–a work that I earlier recommended in this blog. (See “Summer Reading on Faith and the Founding.”) In other places I have lamented how infrequently historians try to write accessibly for a broad audience, as well as how seldom Christian scholars make an effort to write for the church. One of the things that I admire about Professor Fea is that he is making a concerted effort to do both, and I applaud him. I don’t agree with every detail of Why Study History?–but to be fair, the history book hasn’t been written yet that I’ve agreed with in every detail. The book is full of valuable insights, and if you are interested in the question of how and why we should value the study of history as Christians, this would be a great place to begin. Fea explains that the primary audience he had in mind as he wrote was history students at Christian colleges, but I think that the book should also appeal to life-long learners. Fea concludes the book with a provocative proposal for a “Center for American History and a Civil Society.” The mission of the center, as Fea envisions it, would be “to foster civility, strengthen democracy, and serve the common good through the teaching and promotion of the American past.” Among a range of possible activities, such a center could coordinate public lectures around the country, sponsor workshops for educators , and offer “summer academies” for high school students. Significantly, Fea hopes that part of the work of such a center would involve reaching out to churches. Tagged faith and history, John Fea, Why Study History? I am a Christian and a historian, and I began this blog out of a desire to be in conversation with other Christians about what it means to think “Christianly” about history. I do this partly out of a sense of burden for the church, but also in part from self-interest. Writing is how I think through things, and I freely confess that I am still trying to figure out what it means to think Christianly as we contemplate the past. The adverb Christianly seems to be everywhere these days, and I am beginning to wonder whether it’s one of those words that we find useful without being able to define precisely. I first came across it in a work that is little read these days, Harry Blamires’ 1963 book The Christian Mind. Blamires, a student of C. S. Lewis, lamented a half-century ago that Christians had effectively succumbed to secularization. The book is a clarion call to the church, calling us to regain a way of thinking that “accepts all things with the mind as related, directly or indirectly, to man’s eternal destiny as the redeemed and chosen child of God.” I’ve never been entirely confident that I understand what this calls us to, practically and specifically, but the book made an impression on me nonetheless. There were two main take-away points for me. First, I was struck by Blamires’ haunting allusion to “the loneliness of the thinking Christian,” and I was persuaded by his contention that the one who strives to think Christianly must expect opposition not only from unbelievers but from other Christians as well. Second, I finished the book convinced that if my vocation was truly to be a Christian educator–a follower of Jesus called to pursue the life of the mind and facilitate the same for others–then thinking Christianly lay at the heart of that calling. Figuring out what it meant to think Christianly might be a life-long quest, but it wasn’t optional. But the Biblical concept of wisdom is far more than the head knowledge of the Greek philosopher; it changes not only our thought but also our behavior. It is knowledge that is transformative, life-changing. This is why I am also convinced that thinking Christianly necessarily involves the heart. In some way, it is a discipline that teaches us more clearly and convicts more deeply of who we are and of who God is. Finally, when we engage in thinking Christianly, I think we should expect to see at least three results: It should bear fruit in reverence and awe, as we see God more clearly. It should evoke greater humility, as we see ourselves more clearly. And because God blesses us that we might bless others in turn, it should enhance both our desire and our capacity to love others. “This is all well and good,” I can hear you thinking. “But what does this mean concretely?” Good question. I’m not sure. But here is what I think. Somehow, someway, when we study history, we have to make ourselves vulnerable. We need to let the historical figures that we encounter ask us hard questions, put our lives to the test. In sum, thinking Christianly about history may involve many things, but I think a salient feature is a scrutiny of the past that prompts scrutiny of the heart. 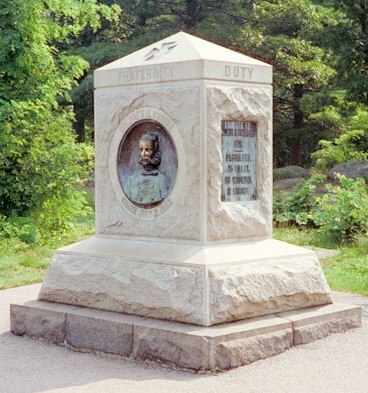 In my next post we’ll return to Gettysburg. I apologize for being away for so long. The beginning of the new school year is always frenzied, and it’s been hard to find time to rejoin our conversation. Sorry about that. In my last post, I had begun to share a series of reflections or meditations prompted by my trip to Gettysburg last month. By way of introduction, I first tried to explain why I thought it was important to engage in such reflection. (Don’t you hate it how academics take so long to get to the point?) I shared my view that “our highest goal is not to understand the past for its own sake, nor to learn lessons from the past that help us get what we want in the present. Rather, our ultimate goal is to understand both God and ourselves more clearly, to the glory of God and our sanctification.” Toward that end, I suggested that we should strive to study history in a way that ultimately exposes our hearts. One of the potential benefits of posting to a blog is receiving feedback from readers that helps to sharpen your thinking and how you express it. That was the case with this latest post. One comment in particular convinces me that I was not nearly as clear as I might have been. 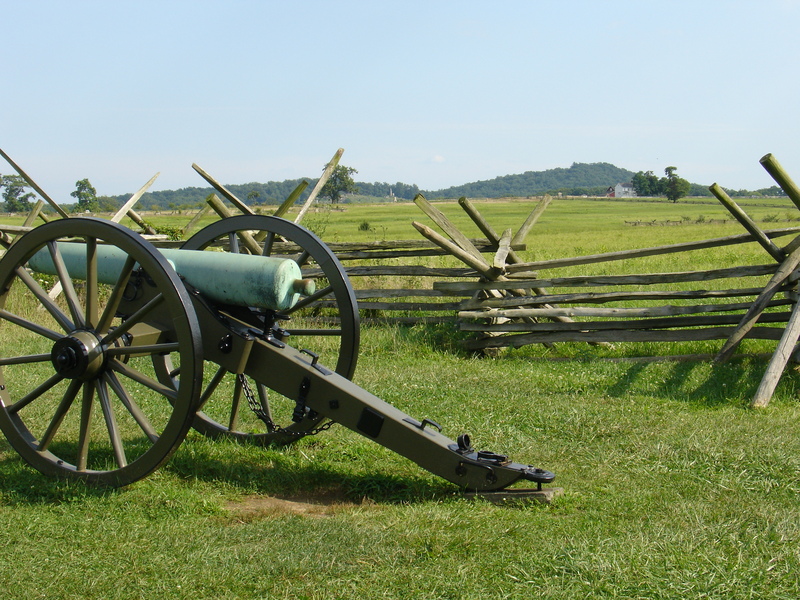 Although I am not ready to agree with “clisawork” that my view “does a disservice to all of humanity,” her concerns are important enough that I want to interrupt my meditations on Gettysburg for this post and try to clarify what I had in mind. As I understand her response, “clisawork” understood my post as arguing that the only legitimate objective for studying history is to understand both God and our own hearts more fully. Any other motive is selfish, even sinful. She rightly recoils against such a contention, and lists a variety of other motives for studying the past that are noble and generous. I think she has read too much into my post–and rather uncharitably–but my wording was poor and she has definitely helped me to see that. To start with a sweeping generalization, I would contend that our motives for studying the past can be boiled down into two basic categories: we either seek knowledge that changes things or we seek knowledge for its own sake. Historians call the latter “antiquarianism.” Antiquarians find the past fascinating, intriguing, or entertaining, but they don’t ask knowledge from the past to make a difference in the world. Many of the Civil War “buffs” that I have met would fall into this category, to give one example. These are the guys (and they are almost always male) who know Jefferson Davis’ middle name, the weight of the standard 1861 Springfield rifle, how many horses Nathan Bedford Forrest had shot from under him, and how many men were on the field on the afternoon of the second day at Gettysburg. Let me be clear: I am not denigrating their interests, but I don’t think it is a stretch to liken this approach to the past to a hobby, say stamp collecting or model building. To the antiquarian, history is just a form of wholesome entertainment, and there’s nothing wrong with that. There are certainly a lot worse ways to spend your time. But what if we expect more from the past than entertainment? What if we want it to “do work,” to change something, to somehow make a difference? This is the second broad category of motives for studying history, and if you’ll allow me, I want to subdivide it further into two subcategories. When we study the past in search of historical knowledge that changes something, we can either have in mind change outside ourselves–in the world around us–or change inside ourselves, in our very hearts. These are not mutually exclusive–we could aspire to both–but my sense is that we almost never think of the latter. So what would it look like to seek historical knowledge that might change the world around us? There are a range of possibilities. In the worst case, such an approach might be self-interested and even manipulative. I have previously written about the temptation we face to approach history merely as a source of ammunition, an arsenal of arguments that we can wield to persuade others to support our predetermined agendas. At the opposite extreme, as “clisawork” pointed out, we might study the past with the most disinterested of motives, searching for clues about how to promote a more just world, bringing historical knowledge to bear on behalf of the weak and marginalized. Studying the past to understand the roots of racism or how best to combat discrimination might be one such example. In between these extremes lie a host of pragmatic possibilities in which we honestly search the past for helpful insight. One example would be the way that economists and government policymakers study history for clues about how to deal with economic fluctuations. When the saving and loan industry took a dive in the early 2000s, for instance, experts reviewed earlier government responses in the 1930s and 1980s for evidence of what might work in the current crisis. Another common example is from the field of foreign policy. Historically, government policymakers have routinely looked to the past in determining the proper response to contemporary challenges. Influenced by what was viewed as the futility of World War I, diplomats and statesmen responded meekly to aggression from Germany, Italy, and Japan in the 1930s in the hope of avoiding a repetition of a costly and unnecessary war. In the aftermath of WWII–and convinced that 1930s appeasement had been a disaster–American politicians called for a firm stand against Soviet aggression as the best way to preserve the peace. And ever since the conclusion of the Vietnam War, policymakers and military strategists have sought to apply lessons from that conflict to avoid its repetition. Setting aside the history-as-ammunition approach, the approach to the past that emphasizes change outside of ourselves is not wrong in and of itself, but it is incomplete–badly incomplete, I would say. If authentic education (as opposed to vocational training) changes who we are, then “education” that leaves the heart untouched is but a shadow of what it should be. She knows me well. History is an almost inexhaustible storehouse of compelling human stories, but I am convinced that if the study of history is to be truly educational, it must be much more than that. Authentic education does not merely put knowledge into our heads that wasn’t there before. It alters the way we think. It challenges our hearts. It changes who we are. At its best, our encounter with the past should be a seamless part of a larger quest for a heart of wisdom, a “conversation with the dead about what we should value and how we should live,” in the words of historian David Harlan. We shouldn’t settle for less. Genesis 32 tells how Jacob wrestled with God the whole night through, telling the Lord, “I will not let you go unless you bless me!” (v. 26). I can’t begin to plumb the depths of that story’s meaning, and yet I think of it often in my role as a historian and a teacher. Rowan Williams, the former archbishop of Canterbury and an accomplished historian, encourages us to believe “that there will always be gifts to be received from the past.” We must seek them persistently, insistently. Like Jacob, we must resolve not to turn loose until the Lord has blessed us. What I am NOT suggesting is that we pray for special revelation from God, asking him to disclose hidden meanings from the past. This summer I have been re-reading the “God’s Plan for America” series by the late Peter Marshall Jr. and David Manuel (The Light and the Glory, From Sea to Shining Sea, and Sounding Forth the Trumpet). I have lost track of the number of times that they claim God’s supernatural intervention in their historical research: “The Holy Spirit gave us insight after insight . . .”; “The Holy Spirit reminded us that . . .”; “thus did the Lord bring to our attention . . . “; “the Holy Spirit went on to show us why . . .” etc. I do not question their sincerity. But note that Marshall and Manuel are not just saying that God blessed their research by sharpening their minds. In his prayer “Ante Stadium” (“Before Study”), the thirteenth-century theologian Thomas Aquinas regularly asked God to grant him, among other things, “keenness of mind” and “skill in learning.” The Christian historians I know would all readily echo that prayer and long for the Lord to grant it. Marshall and Manuel go much farther, however. Repeatedly, they identify particular moments when God supernaturally intervened to direct them to just the right source at just the right time , in the process leading them to a more accurate understanding of American history. I don’t doubt for an instant that God could do this if it pleased Him, but I find no scriptural basis to expect this sort of revelation. When such insight comes, if it comes, it is a form of special revelation, and those who receive it are really exercising a prophetic role. This is why books like The Light and the Glory are not really historical at all–they are works of prophesy. While I find no promise in scripture that the Holy Spirit will reveal American history to us, the Bible is clear that the Spirit is given in order to convict us of “sin, and righteousness, and judgment” (John 16:8). So when I propose that we wrestle with the past until the Lord blesses us, I have in mind studying history in such a way that it ultimately exposes our hearts. Our highest goal is not to understand the past for its own sake, nor to learn lessons from the past that help us get what we want in the present. Rather, our ultimate goal is to see both God and ourselves more clearly, to the glory of God and for our sanctification. The point, in other words, is to get wisdom. As Proverbs 4:7 puts it, “Wisdom is the principal thing.”And if wisdom is our goal, we must figure out how to make scrutiny of the past lead to scrutiny of our own hearts in the light of God’s revealed Word. That, I am almost ready to conclude, is the essence of what it means to think “Christianly” about history. I am still trying to work out what this looks like concretely, but I would like to share with you some of the thoughts that I had while roaming the ground at Gettysburg. They are examples of the kind of reflections I have in mind. You may be able to come up with other, better ones, and I welcome your suggestions and reactions. For now, I’ll share just a couple of observations, with more to follow soon. First, the palpable weight of the past at Gettysburg is jarring. As I mentioned in my last post, as I walked the battlefield I felt the almost tangible presence of the nearly 170,000 men who clashed there a century and a half ago. I don’t mean literally that their spirits hovered there (although there are a number of “Gettysburg Ghost Tours” that claim precisely that). As I observed last time, there is something about being physically present at the site of a famous historical event. The experience enlivens our imaginations; sharing a common landscape somehow seems to connect us viscerally to those whose footsteps we follow. Second, as I thought about the men who fought there, I was immediately struck by the chasm that separates us from them. I’d love to be a tour guide at Gettysburg, but I wouldn’t be a very popular one, because I think one of the most important things to tell tourists is how little we know about what happened there. That’s not a message we care to hear. We want history that makes the past “come alive”–what I call You Are There history–and being reminded that “we see through a glass, darkly” when we peer into the past interferes with our fantasies of omniscience. When we move beyond establishing the factual details to the thornier tasks of explanation (why did the attack fail?) and re-creation (what was it like to take part?) our dearth of knowledge becomes all the more apparent. As Reardon explains, each kind of existing evidence about the battle has its own problems. Official reports were biased, self-serving, and frequently not composed until months afterward. Most of the letters and diaries of common soldiers at Gettysburg were never preserved, and those that survive are less revealing than we would hope. Individual soldiers saw only a tiny part of the battlefield, and in the stress of battle they often retained a kaleidoscope of impressions and sensations more than a coherent narrative of their experience. In writing to loved ones, they often gave up on the possibility of conveying what they had seen and experienced to civilians. But why stress how much we don’t know? The author of Proverbs provides our answer: “For as he thinks within himself, so he is” (Proverbs 23:7). It would be an oversimplification to say that what we think reflects our hearts and how we think shapes our hearts, but it’s not far from the truth. From best-selling popular works to the boring textbooks we’re assigned growing up, much of the history that we consume exaggerates our capacity to know the past and unwittingly promotes intellectual arrogance. Herbert Butterfield, one of the premier Christian historians of the last century, trenchantly identified intellectual arrogance as “the besetting disease of historians.” Christian writers are not immune to this malady, and we cannot guard against it unless we are aware of it.